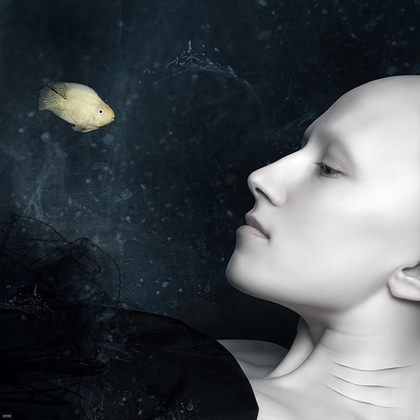 It’s been a little while since I’ve gushed about exciting art on this website, so let me break the drought by drawing your attention to the fascinating photo/Photoshopped portraits of Oleg Dou. 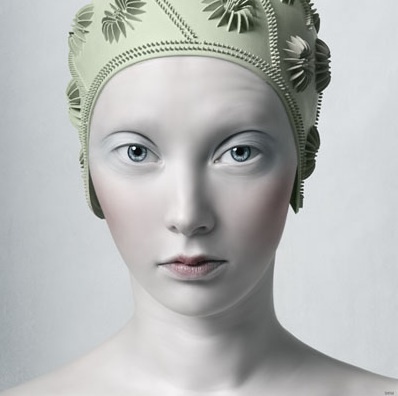 Oleg Dou is a multi award-winning photo artist based in Moscow, who received the Professional Photographer of the Year in Fine Art award at the International Photography Awards in 2008. 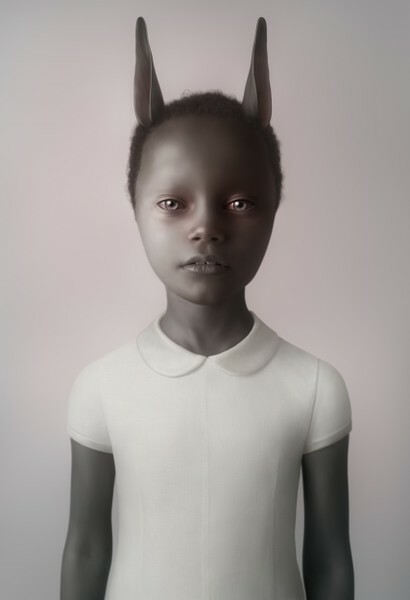 Other than that, I don’t know much about Dou — just that he is young, imaginative, and creates portraits that both disturb and delight. There’s quite a selection his website (‘Fawn’, pictured on the left, is one of them) but doing a quick Google images search will bring up a slew of other photos not currently featured there. 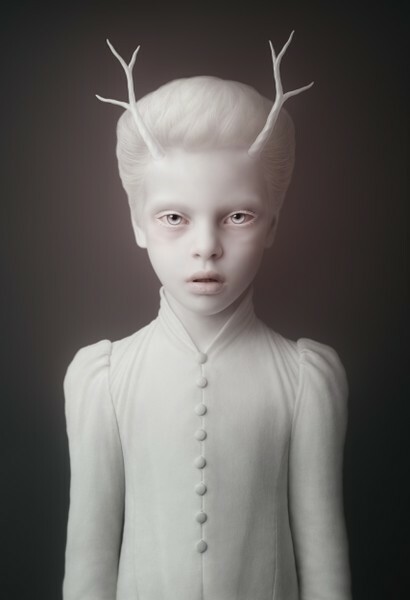 These portraits are simultaneously beautiful and unsettling — the people look like androids, or corpses, or aliens — yet that’s why I find them so interesting. On his website, Dou comments that he’s interested in “looking for something bordering between the beautiful and the repulsive, living and dead. I want to attain the feeling of presence one can get when walking by a plastic manikin…” and he often achieves this effect. (Sometimes the portraits are a bit too “photoshoppy”, a bit too “look what I can do with these cool tools” rather than successful embodiments of this uncanny aesthetic… But in general the work is more often a hit than a miss.) More, please! 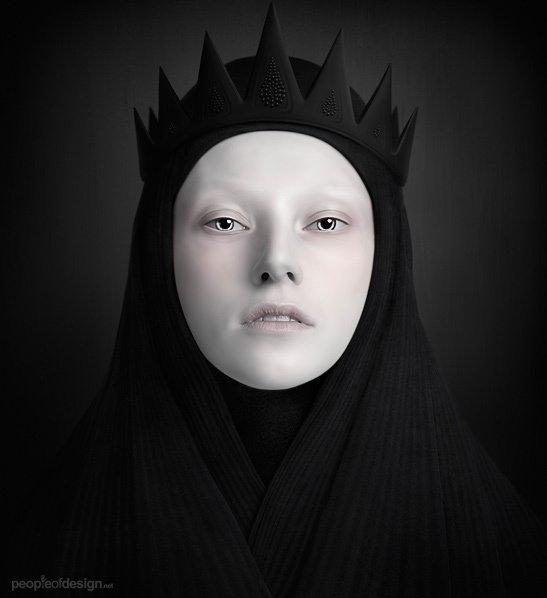 Tags: blank stare, fawn, nun, oleg dou, photography, unsettling art. Bookmark the permalink. Do you know: http://larkin-art.deviantart.com/ His work is giving me nightmares, but I love it nonetheless.